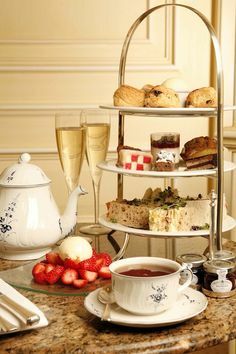 If you are planning a tea party then you are probably considering tea sandwiches for part of your menu. Fillings are light, and are “dainty” or “delicate” in proportion to the amount of bread. Spreads might include cream cheese or mayonnaise mixtures, and the sandwiches often feature fresh vegetables such as radishes, cucumber, asparagus, or watercress. The cucumber tea sandwich in particular is considered the quintessential tea sandwich. Other popular tea sandwich fillings include pimento cheese, ham with mustard, smoked salmon, fruit jam, curried chicken (one of my favorite!) and egg salad. The traditional cucumber sandwich is composed of paper-thin slices of cucumber placed between two thin slices of crustless, lightly buttered white (or wheat in some cases) bread. As the thinness of the bread is a point of pride in the kitchen, a dense-textured white Pullman loaf is cut with a wide-bladed knife, which guides the cut; daylight should pass through the resulting fine pores. The peel of the cucumber is either removed or scored lengthwise with a fork before the cucumber is sliced. The slices of bread are carefully buttered all the way to the edges in the thinnest coating, which is only to protect the bread from becoming damp with cucumber juice, and the slices of cucumber, which have been dashed with salt and lemon juice, are placed in the sandwich just before serving in order to prevent the sandwich from becoming damp enough to moisten the eater’s fingers. 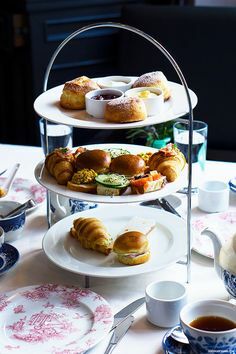 The crusts of the bread are cut away cleanly and the sandwich sliced diagonally twice, creating four small triangular tea sandwiches. The traditional cucumber sandwich is of British origin. Modern variants (largely of American origin) exist, involving cream cheese, chopped dill or spices, brown bread, salmon, and even bread with crusts left intact. One specific American variant includes benedictine, a green soft spread based on cucumbers and cream cheese. 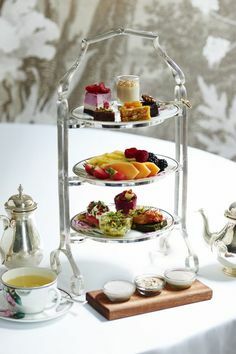 Cucumber sandwiches are most often served for a light snack or at afternoon tea, a formal light meal served at four in the afternoon or early evening before the main supper. Because of English influence on Indian culture, in India, cucumber sandwiches are popular during cricket matches and weekend picnics. The Indian variant is flavoured with green chutney, and sometimes contains slices of boiled potatoes. Because of cucumber’s cooling nature, cucumber sandwiches are often eaten in the summer months or in warmer climates, such as in parts of India. Indian Airlines used to serve cucumber sandwiches as part of its usual vegetarian inflight meal in short-haul domestic flights. Cucumber sandwiches contain little protein and so are generally not considered sustaining enough to take a place at a full meal. This is deliberate; cucumber sandwiches have historically been associated with the Victorian era upper classes of the United Kingdom, whose members were largely at leisure and who, therefore, could afford to consume foods with little nutritive value. Some writers have attempted to draw out an association between the daintiness of the sandwich and the perceived effeteness of the British aristocracy. Cucumber sandwiches are often used as a kind of shorthand in novels and films to identify upper class people, occasionally in a derogatory manner. In the first act of Oscar Wilde’s The Importance Of Being Earnest (1895), cucumber sandwiches that have expressly been ordered and prepared for Lady Bracknell’s expected visit are all voraciously eaten beforehand by her nephew and host, Algernon Moncrieff; consequently he is forced to tell a little lie, with his butler’s connivance: namely that “there were no cucumbers to be had at the Covent Garden vegetable market that morning, not even for ready money”! In addition, the sandwiches were once considered appropriate delicacies to offer to visiting clergy, in times when such visits were still a common feature of English middle class life. The popularity of the cucumber sandwich reached its upper-class zenith in the Edwardian era, when cheap labour and plentiful coal enabled cucumbers to be produced in hotbeds under glass through most of the year. 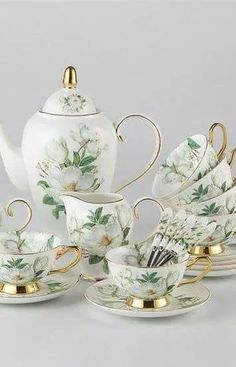 With the declining popularity of tea as a meal in the United Kingdom, there was a corresponding decline in the popularity of cucumber sandwiches, but they are still frequently served at teas, luncheons, and gatherings. Place cucumber slices between layers of paper towels to remove excess moisture. In a small bowl, combine butter and watercress; spread on one side of each slice of bread. Lay cucumber slices onto the buttered side of eight (8) slices of bread. Sprinkle the cucumbers with salt. Top with the remaining slices of bread, buttered side down. * Freezing the bread before cutting and then spreading can make for easier handling. Remove seeds and chop cucumbers Squeeze cucumbers on paper towel to remove excess water. Mix cream cheese and spices. Spread thin layer of butter on bread, then cream cheese, then cucumbers. Remove crust; cut diagonal into triangles. Place in freezer 30 minutes, then place in refrigerator before serving. Wrap in damp paper towel to keep fresh. Tea Party Girl Asks: Would your tea party menu include Cucumber Tea Sandwiches? I have not tried it on pumpernickel but it sounds good! I have had them with ranch and that is yummy. I have also used cucumbers to make little decorative dip cups, filled them with ranch and used them on the tea trays for other veges. The video uses mayonnaise on the bread but the directions say butter. Which is preferred? They both have a distinct flavor. Usually butter is spread thinly to seal the bread and then mayo or cream cheese is applied.